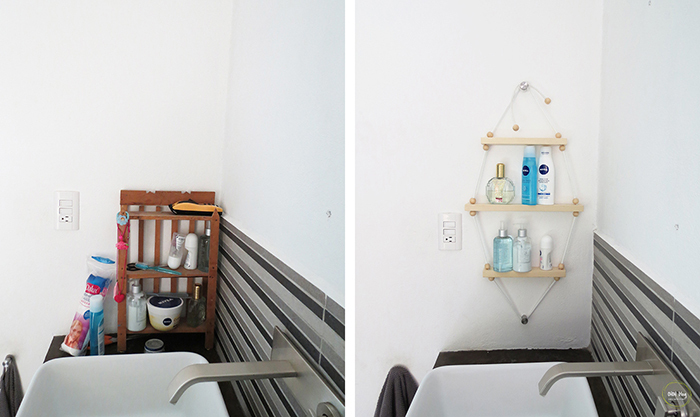 A little bathroom update today! There is still a lot of work to do in this room. As you can see we don’t have mirrors and some nice sconces are required! 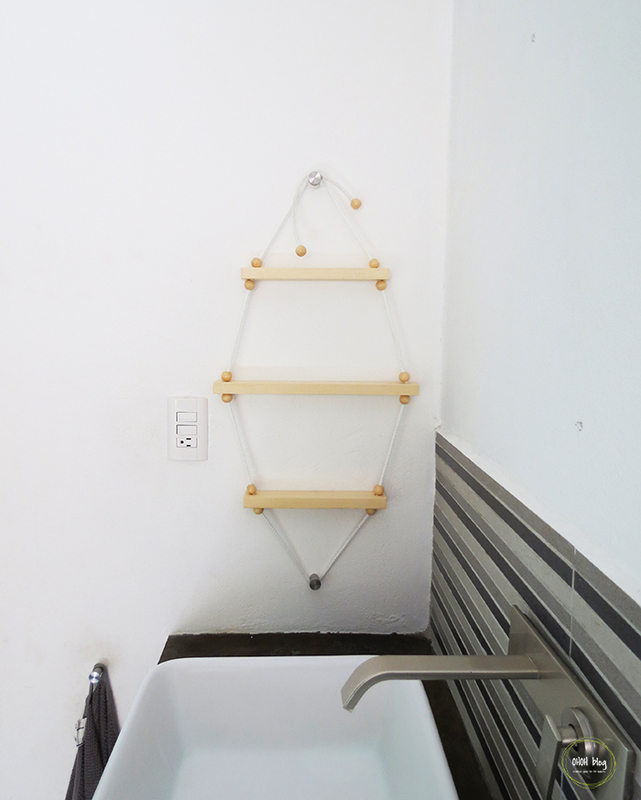 I also need to build some more shelving under the sinks. 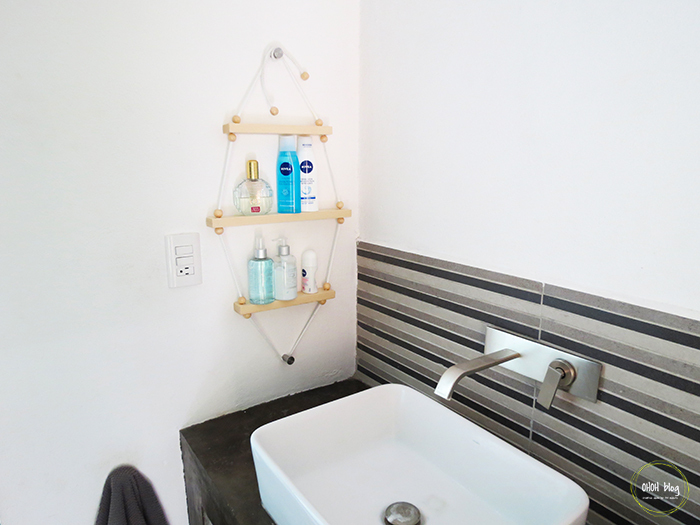 But we already have a practical towels holder and clever toothbrush holders! 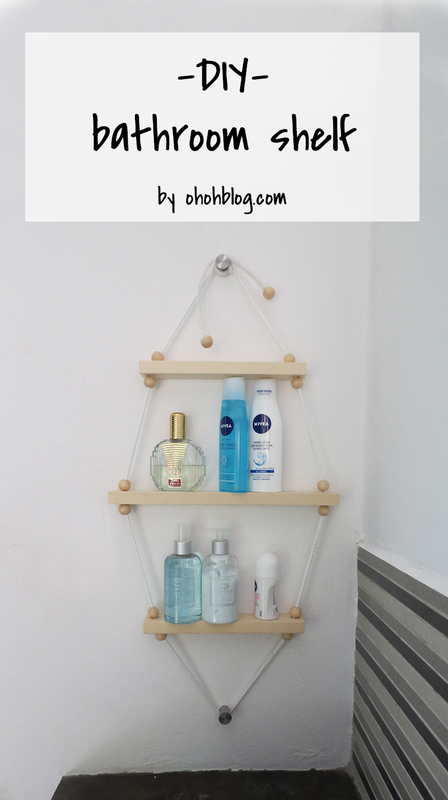 So I continue with an other simple project: a small bathroom shelf! 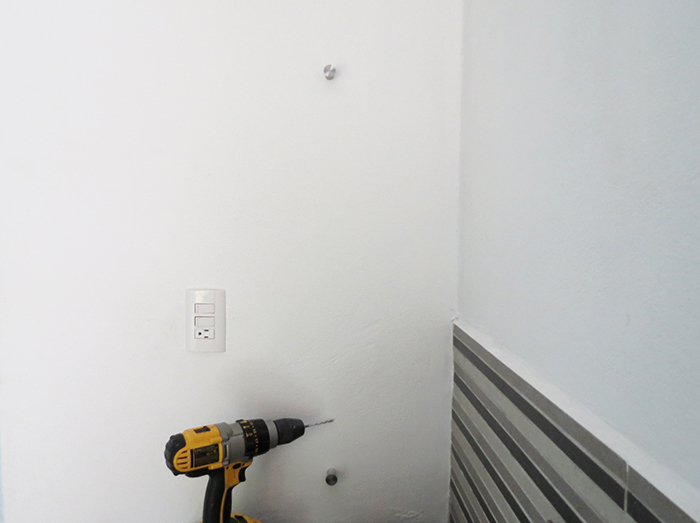 I didn’t have many space between the wall and the light switch for a big shelf, but you can easily adapt the measurement at your own space if your need to. 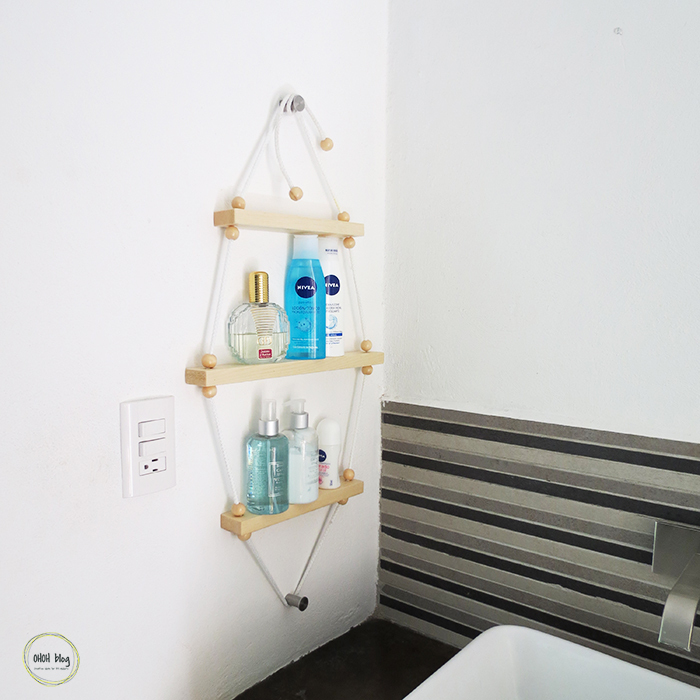 To build a rope bathroom shelf, you will need 1×2 lumber (2 pieces of 9 in. and one piece of 14 in. 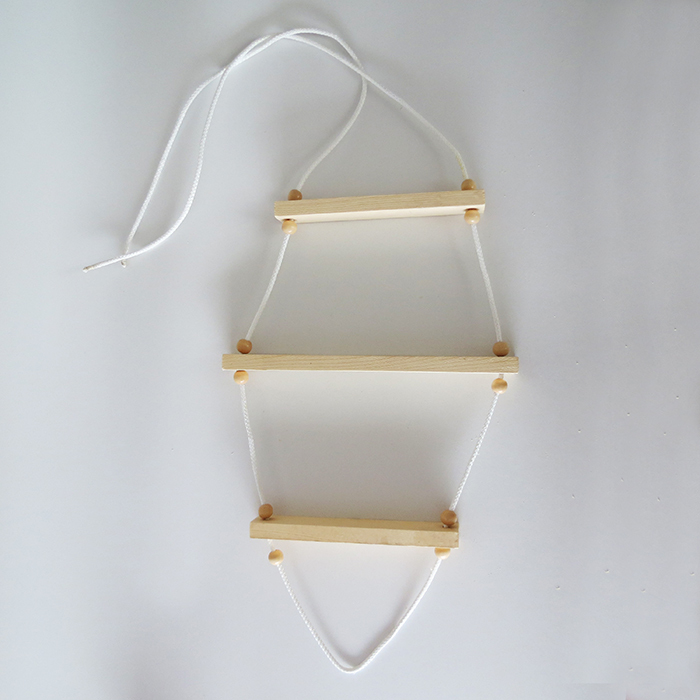 ), 2 yards of rope, 14 wooden beads, 2 hangers (I used those Ikea ones), some glue, sanding paper, varnish and a drill. 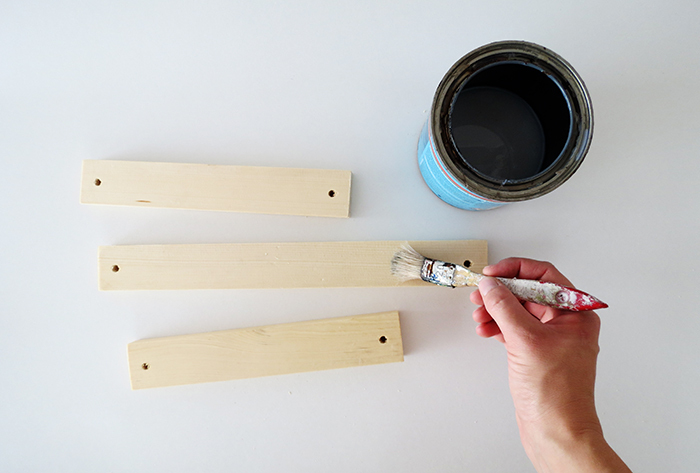 Let starts drilling holes to pass the rope at each end of every wood piece. Try to center them on the wood width. I generally tend to skip the varnishing process, but as the shelf is gonna be the a wet room, I applied 2 coats of varnish this time. 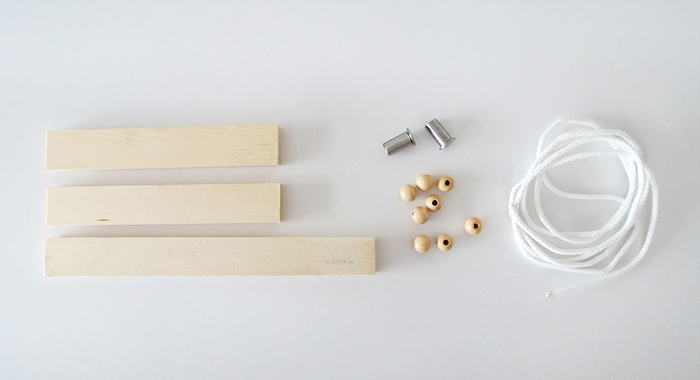 Fold the rope in the middle, pass two beads and then one of the small wood piece. 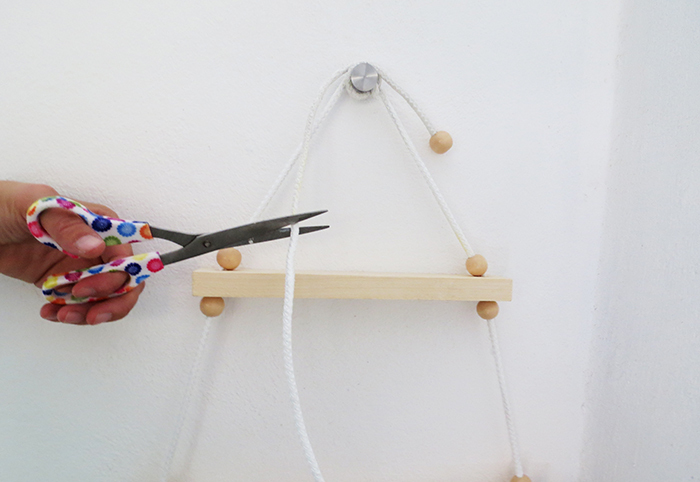 Continues to thread the beads and wood until your shelf is mounted. 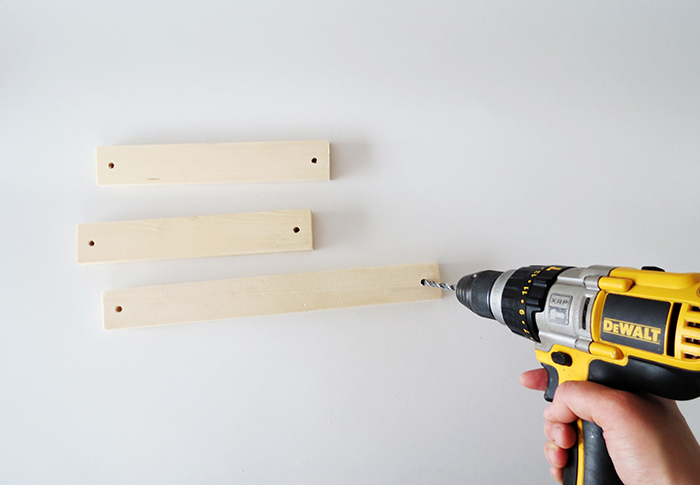 Using you drill, and eventually dowels, fix both hangers in the wall. They have to be on top of each other at a distance of 30 inches. 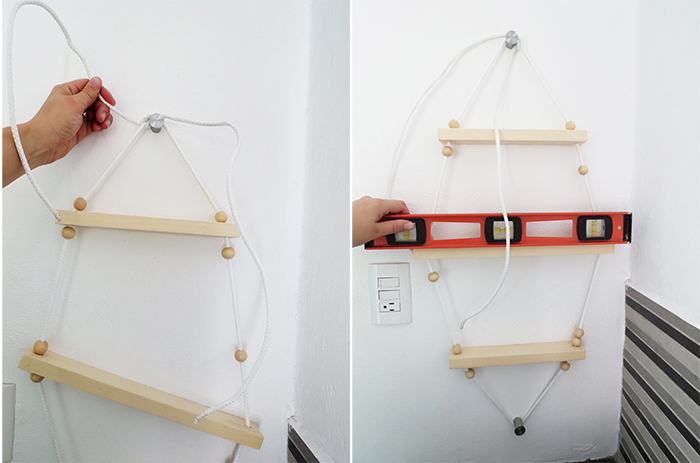 It will also works with some simple screws or hooks…but it look nicer with hangers. 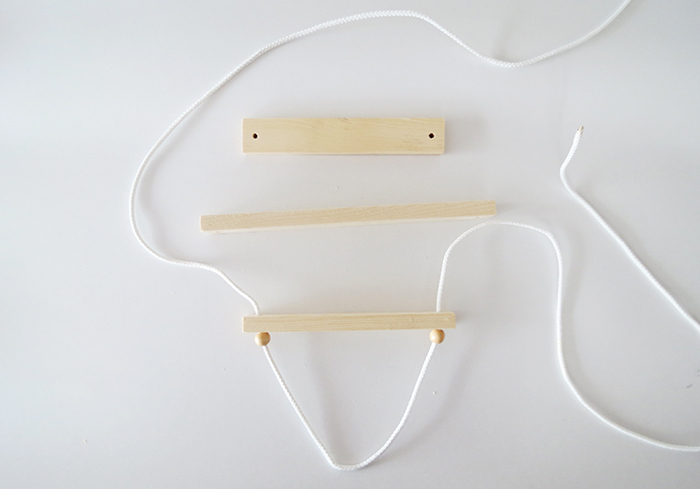 Pass the bottom loop of the rope around the lower hanger and make a knot on above the upper hanger. Tie the rope and don’t worry is the shelf planks are awry. Once the rope is attached and well tense put the planks horizontal and at the same distance from each others. 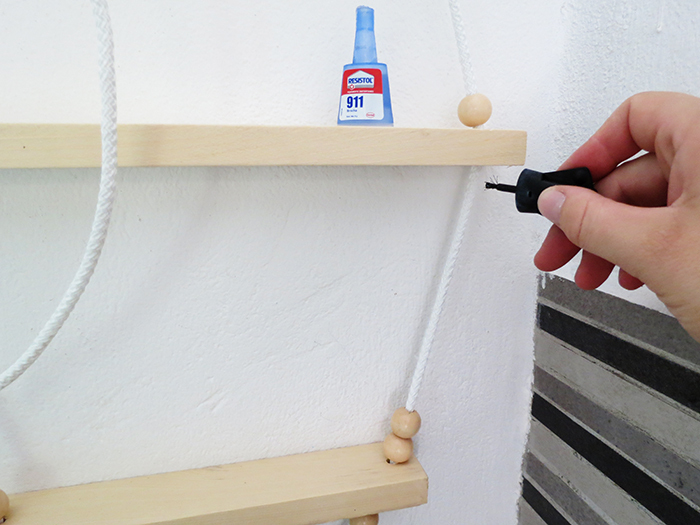 Fix the beads under the each shelf with a little glue. And a pic of the mess before….much better now! What do you think? 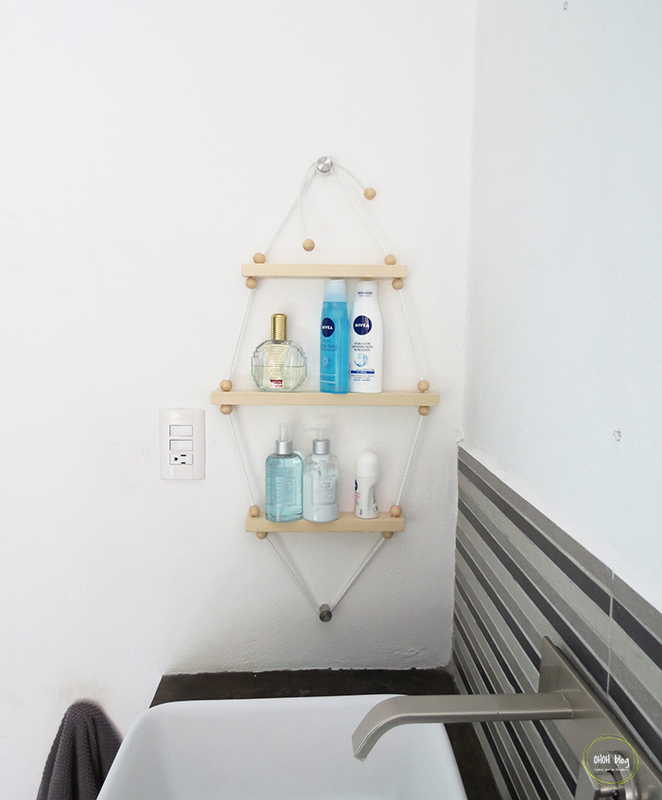 I think that is such a cute shelf. And it looks so much better to have your items on the shelf instead of the counter. Great Idea. Thanks for sharing.